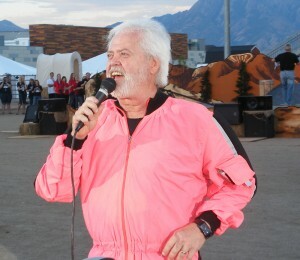 Merrill Osmond was one of the first artists of rank that tested the Qirra Sound system. During the test and demo, Merrill had to handle a radio interview and he was so excited about the sound quality that he promised that Qirra Sound would be provider for the upcoming Pioneer Pageant. He told us when he returned back from the radio interview — you guys will handle my Pioneer Pageant! This we handle with great success. We only used 4x Odin and Thor II despite being an outdoor scene (rodeo) which seated about 2000 people. This worked fine but some more speakers would have been good (more margin). We got lots of good comments in regards to the sound and quality. 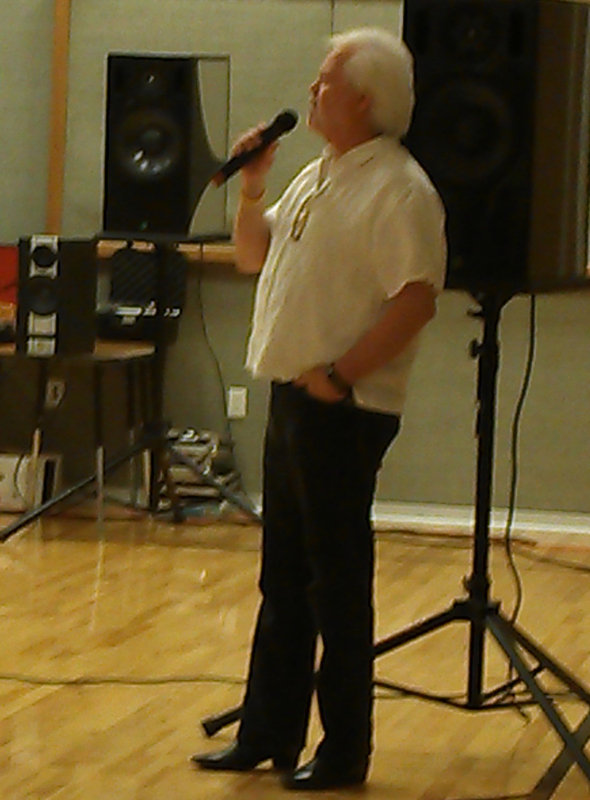 The picture to the right is from this first demo and Merrill Osmond is standing in front of the speaker. He experiences how he can stand in front of the speaker and sing without feedback problems. That was a surprise! 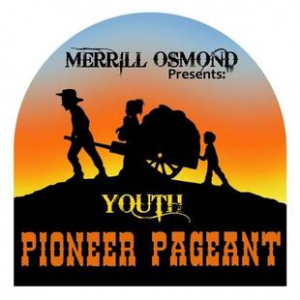 The public is invited to the West Jordan Rodeo Arena July 20-24, where music, dance and fireworks will meet in the Youth Pioneer Pageant, written and produced by Merrill Osmond. “Most of the story is about the Mormon pioneers, but it also talks about Catholic missionaries, Polynesians, Chinese – really any group that helped settle Utah,” said Osmond’s son Shane Osmond, who is a co-producer of this year’s performance. The pageant will combine dancing, singing and acting with fireworks displays and live animals to portray the journey of the pioneers to Utah, including both high and low points along the way. “It’s a theatrical presentation,” Shane said. “There are hoedowns where people will be laughing. There’s a scene with a mother burying her baby that will make them cry.” It tells the story of why Utah celebrates Pioneer Day, Merrill said. All proceeds from the pageant will be donated to the Olive Osmond Perpetual Hearing Fund, a nonprofit organization founded by Merrill’s son Justin Osmond. All other concerts in the West Jordan Concert Series also benefit the organization. Merrill Osmond is a world-renowned singer and songwriter and an original member of the award-winning Osmond Brothers. The idea for the pageant came to him while he and his wife were on vacation in Honolulu in 1986, when he had a vivid dream of the pioneers’ trek west and was left feeling a greater telling of the story needed to be shared and it needed to involve young people. The picture to the right is from Pioneer Pageant where Merrill has just landed by a parachute. He was released from high altitude and came “down from heaven,” and when entering the stage, he started singing directly. 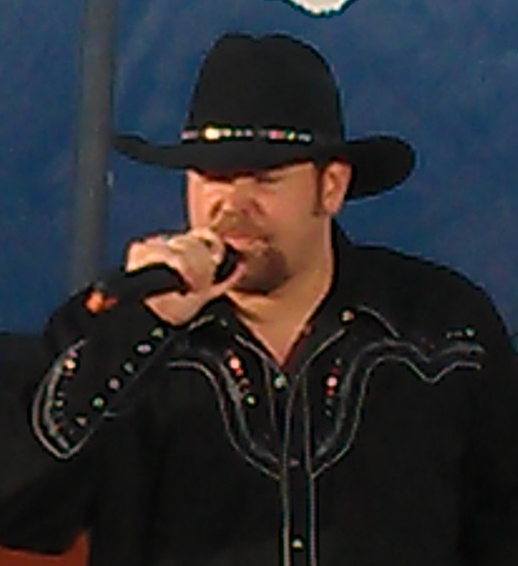 This performance was only done at the last show and was a real hit. 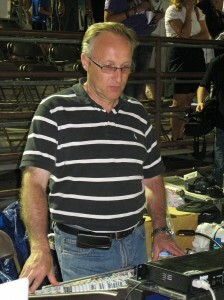 Qirra Sound had its entire U.S. team on site and Thomas Lagö handled the mixing console. Qirra Sound was an official sponsor of Merrill Osmond’s Pioneer Pageant. 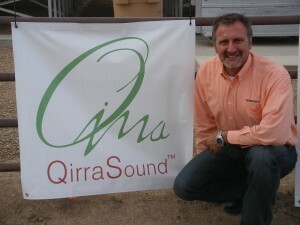 “I attended the QirraSound™ demonstration at the Provo Marriott Hotel and was literally blown away! Not because it was so loud, although they took the levels beyond 100dB without straining the system, but because of the freedom it gave me to use the whole stage without getting feedback from the loudspeakers. The cool part about it was my ears felt fine! The clarity was incredible and there was no distortion or feedback! They have the most amazing sound technology that I have ever heard/experienced. It was definitely an experience that anyone who appreciates pristine sound needs to experience for themselves!